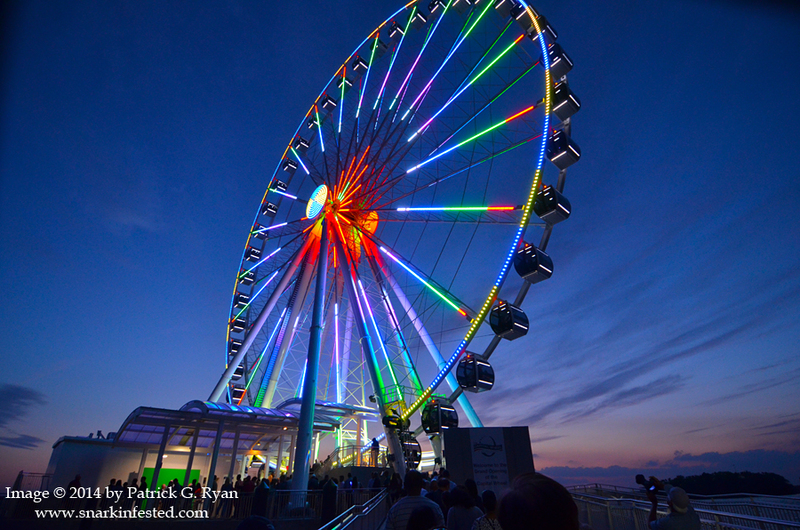 05/22/14 Opening night for the new Ferris Wheel at National Harbor. They turned the lights on just as the sun was setting. Beautiful picture. I was just there myself last week. I got some nice shots, but I’d love to hear the secret to getting them to look like that.